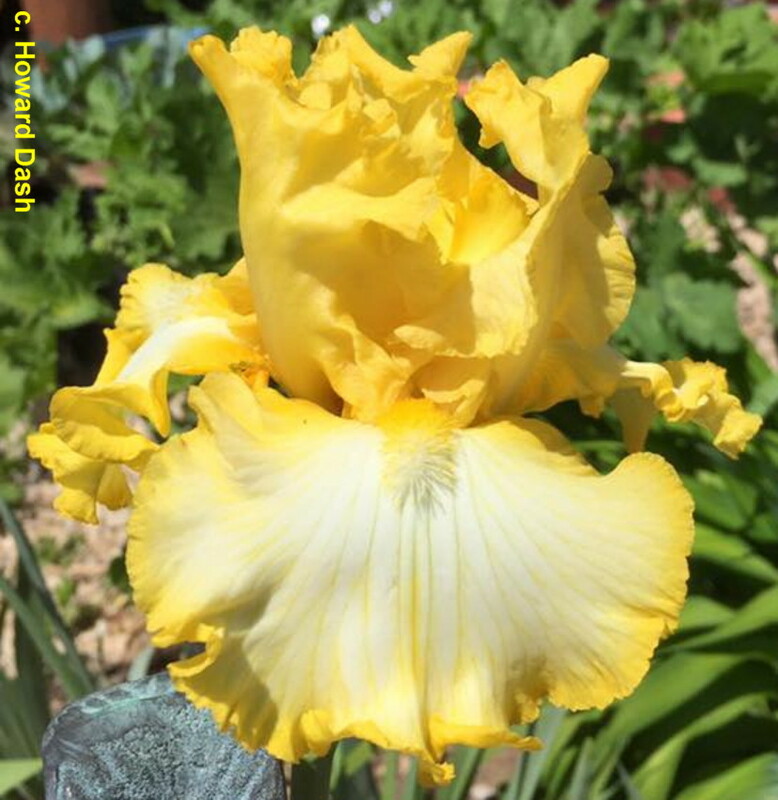 This medal is restricted to tall bearded (TB) irises. It is named in honor of John C. Wister. Three medals are awarded each year. 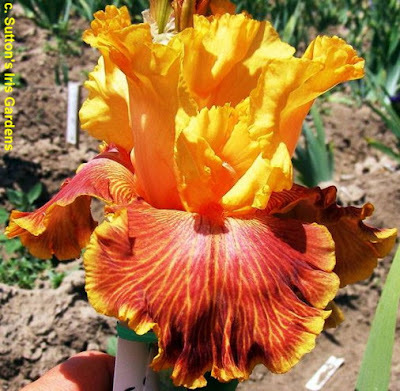 John C. Wister led the organizing meeting that created the American Iris Society and became its first president, a position he held for fourteen years. He guided the society through its formative years. 'Notta Lemon' (Tom Burseen, R. 2009). Early to late bloom. Standards and style arms lemon yellow-gold; falls white, lemon yellow-gold edges, yellow texture veins; beards gold, large; very ruffled; pronounced spicy fragrance. 'That's All Folks' X seedling 02-169: (seedling 98-521, 'Jaw Dropper' pollen parent, x seedling A166, 'Vegas Bound' pollen parent). Burseen 2010. Honorable Mention 2012, President's Cup 2013, Award of Merit 2014. 'Bottle Rocket' (Michael Sutton, R. 2009). Seedling# U-524-A. TB, 35" (89 cm). Early midseason bloom and rebloom. Standards orange buff flushed pink at midribs; style arms buff orange; falls ruby red veined orange, lighter veining around carrot beards, greyed-orange 1/4" rim; slight musky fragrance. Seedling# S-702-A: ('Connie Sue' x 'Let's Boogie') X seedling# R-687-A: ('Return Address' x 'Tropical Delight'). Sutton 2010. Honorable Mention 2012, Award of Merit 2014. 'Strawberry Shake' (Keith Keppel, R. 2011). Seedling# 05-92B. TB, 36" (91 cm). Midseason bloom. Standards hydrangea pink (M&P 2-E-7); style arms peach (9-A-5); falls peach to orient pink (9-A-6), center creamier pink (9-AB-4); beards shrimp (1-E-10). 'In Love Again' X seedling# 99-115C: ('Crystal Gazer' x seedling# 96-35C, 'Adoregon' sibling). The World of Irises blog will be posting once a day the other medal winners as soon as the hybridizers are notified. 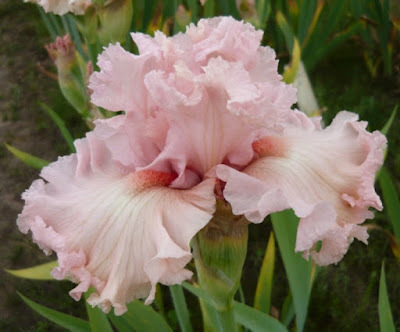 The entire list of winners can be found at http://irises.org/About_Irises/Awards_Surveys/AIS_Awards.html, the AIS Encyclopedia and later in the AIS Bulletin, IRISES. Pictures can be found at http://wiki.irises.org/Main/InfoAwards2018. The Notta Lemon is such a stunning looking flower. Yellow flowers are my favorite...great photos that you took! Thanks for the share, hope you had a fantastic weekend. Keep up the posts.